Nokia 8110, a 20-year-old phone is launched again with 4G and other new features. HOW IS IT DIFFERENT FROM OLDER VERSION? While the original model made some huge cultural impact when it was featured in the movie “The Matrix”and became a definitive choice with its sturdy body and beautiful look. But sadly, these models were replaced with the smartphone eventually. However, if you weren’t able to own it then HMD has given you another chance by relaunching the famous phone. At Mobile World Congress, Barcelona, Nokia 8110 was unveiled. Just like in the older version, on 8110 4G, you can answer calls by flipping the case and end the call by snapping it shut. 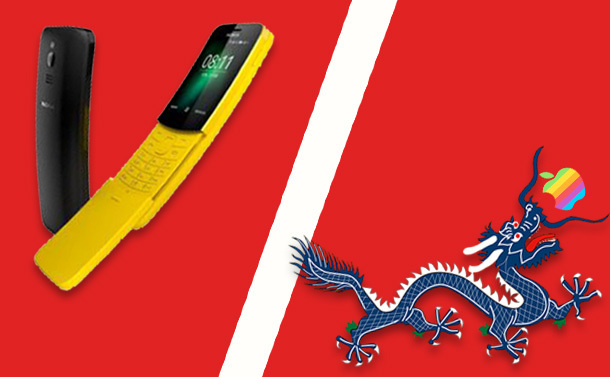 Nicknamed the “Banana Phone (Which explains the yellow color), is available in black as well. The older versions had a monochrome screen, but now the screen is replaced by 2.4-inch with 320×240-pixel display color screen. The visual interface of the phone is same as of Nokia 3310. The OS installed is not Android, but it has App Store with apps like Facebook and more. Moreover, you can import your Outlook and Gmail contacts and check your emails. With bigger screen smartphones available in the market, people might not like the screen of the phone for various tasks but you can always create a 4G wireless hotspot to tether your laptop or tablet.The phone is a cheap and durable option which has a great battery backup. WHAT IS THE PRICE AND OTHER SPECIFICATIONS? The Matrix phone will be available from May for approximately 79 Euros, which means around £70, $100 or AU$125. These are the estimation of the price and final pricing has not been told. You also get a 2-megapixel camera, the famous Nokia game, Snake and more. With Smart Feature operating system on the phone, it has Dual-core 1.1GHz Qualcomm 205 processor. It has 512 MB RAM and 4 GB internal storage. It has Micro-USB charging port with Micro SIM slot. It has 3.5mm headphone jack and 1,500 mAh battery. Apple has shifted the encryption keys for mainland Chinese iCloud users to China. WHY APPLE SHIFTED THE KEYS TO CHINA? With all the controlling and regulating people of the country, China surely enjoys governing people of its country. After the change, Chinese officials just need to get a Chinese legal order and show it to Apple’s local partner. Then the local partner has no option but to hand over the data. It seems like China wants to control its residents as they live and breathe, making it difficult for them to live liberally. Is it a too much to ask? In China police seems to have the supreme power. They can force the users to give them access without any warrants. It is estimated that the new changes can bring chaos and also lead to arrest of the individuals who advocate democracy.